Hey everyone! So, our 3d printing company is about to move to a store front in a semi-major city and one of the things we're striving to do is create a space for kids to come learn about the process -- an education center if you will. We're hoping that will will having schools come in for field trips, ect. We would love any input from the 3d printing community on what elements we should have in this space. We will likely have some of our smaller printers there for kids to see along with the ability to possibly let them designs things for themselves. We're also hoping this is a way to reach out to the education world on the business aspect. Any ideas are welcome! Love that you're working to educate kids about 3D printing! I don't know what your setup is over there, but one of the things you can do is host your own Maker Challenge -- have kids sign up, teach them to use the printers and have them compete for the most innovative invention. Basically like this: ocMaker Challenge. You could also just host some 3D printing workshops for kids. Kids love the 3D printer and to keep them interested and involved, workshops are a great idea as well as interactive apps that let them draw and modify simple 3D objects. Or invest in a small 3D scanner that allows kids to scan and reproduce objects that they create. Creating a story around the workshop will help kids imaginations! That is really very great! 3D technology is our future. They are developed by educational institutions around the whole world and can be applied in various fields of activity. There is no doubt that 3-D printing will serve as an incentive for a whole generation of innovative inventions. I recently wrote a dissertation for this site on "Computer modeling of products of complex geometric shapes with expert evaluation of the obtained prototypes and models for the details of instrumentation." I solved the scientific problem of the regularities of the 3D printer and developed methods for the technological parameters of model formation, which is essential for the development of instrumentation technology and accelerating scientific and technological progress. 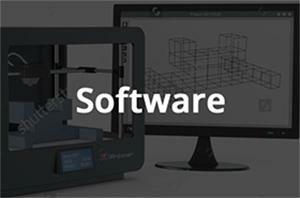 And it's right that you decided to conduct 3D seminars for children http://www.halotechnologiesllc.com/3d-printing/. We need qualified specialists and knowledge must be gained from an early age!!! Hello. I agree. Not all children, and adults, even more, know how to work with a 3-D printer. Not to mention the fact that many of his eyes were not seen. So, it would not be bad, for starters, to teach children and teachers to use this miracle of technology. Glad to know one company is thinking about child 3D education.